June 27, 2016 – NASA and ESA (European Space Agency) conducted a critical design review (CDR) culminating in a final review board June 16 for Orion’s European-built service module. The service module will power, propel, and cool Orion in deep space as well as provide air and water for crew members. The CDR rounds out the latest in a series of reviews for the three human exploration systems development programs that will enable the journey to Mars. During the review process, technical experts examined the module designs and numerous items were processed and closed out, giving engineers confidence the module design is mature enough to continue with fabrication, assembly, integration and testing. The recently completed review focused on the overall service module design while discussing differences between Orion’s first deep space mission atop the Space Launch System (SLS) rocket and the mission to follow that will carry crew. No new major issues were identified during the review, and the teams worked together to develop a plan for work going forward in areas such as power, solar array management and propellant usage. The review was conducted at ESA’s European Space Research and Technology Centre in Noordwijk, Netherlands with teams from NASA, ESA, Lockheed Martin and Airbus Defence & Space in Bremen, Germany. Lockheed Martin is NASA’s main contractor building Orion, and Airbus is ESA’s contractor for the service module. The CDR identified April 2017 as the target for the service module delivery to Kennedy Space Center in Florida. Teams will begin integrating hardware into the rocket before the service module is delivered, and NASA plans to continue to optimize processing when it arrives at Kennedy. Initial results maintain EM-1 launch date no later than November 2018. Results of the service module’s review will be briefed to senior NASA and ESA officials in the coming weeks. This milestone is the latest in a series of accomplishments critical for the agency’s deep space missions. NASA’s SLS was its first human-rated rocket in almost 40 years to complete and clear a CDR, which wrapped in October 2015. 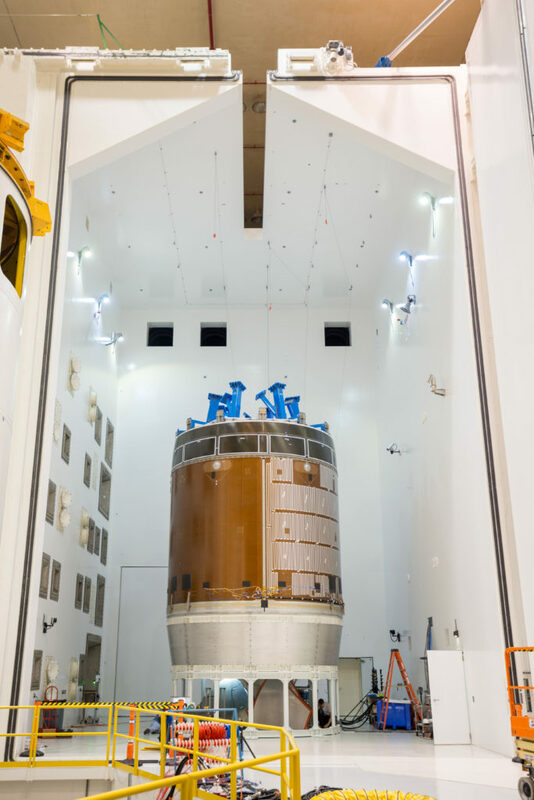 The world’s only human-rated deep space vehicle, Orion, and the Ground Systems Development and Operations Program that will provide the facilities and ground support at Kennedy to prepare SLS and Orion for the journey to Mars, completed a joint CDR in March 2016.